As the world we live in changes to embrace tech futures, how and what we teach in our education system will also be reshaped to keep up to date with the growing demands of the 21st century. 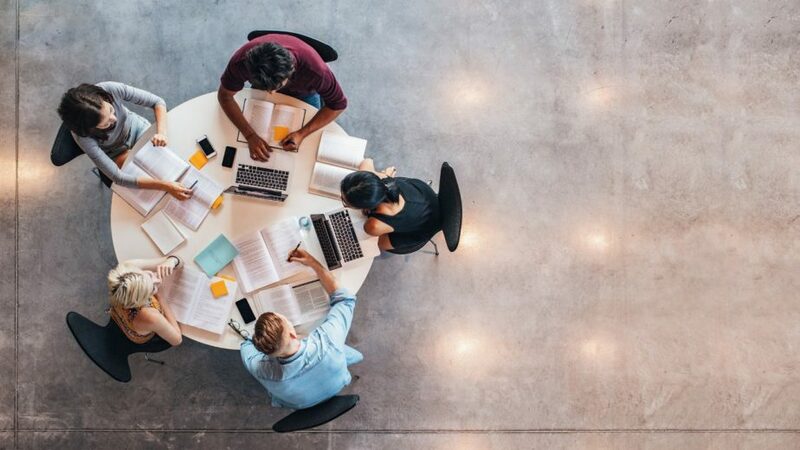 RMIT School of Education Professor Tricia McLaughlin shared four key ways that education is set change in the near future. The concept of a teacher standing in front of a room full of students who listen and respond to direction is increasingly a thing of the past. While not an entirely new approach, student learning spaces will supercede the typical classroom that we know today. This will see students become partners or co-creators of their own learning. “Experiences that allow collaboration, communication and teamwork for all students often happen beyond classroom walls. We need to facilitate for these experiences in context, and our classrooms need to be a reflection of this,” McLaughlin says. They will be set up to allow collaboration to occur on learning projects between individuals, small groups or larger groups. Classrooms will coexist as physical spaces and online, flipping the current learning model upside down so that students can learn at home and spend class time collaborating and applying their knowledge to real-life issues. The formal classroom will be replaced by learning areas that allow individuals, small groups or larger groups to collaborate face-to-face or virtually on learning projects. As we ride the wave of the digital era, it is becoming easier to get connected with a global reach. A world of information is at your fingertips with the click of a button or a simple voice command, and, as technology continues to advance, students need to grow their learning with it. Technology is no longer a motivating factor when it comes to learning – it is a must. It’s something that needs to be incorporated in the future of education to ensure students are equipped with the skills to cope in a world dependent on technology. While some argue that technology in our classrooms creates lazy, disconnected students, McLaughlin believes this is a myth. She says technology has created endless boundaries of where learning can occur, with whom and why. “The reality is, classrooms can be anywhere anytime. Students can be working on projects in virtual contexts with other students from around the world at any given moment,” she says. Technological advances have enabled interconnectedness of information and people with the touch of a button. Education in the future will need to demonstrate how technology can be used to students’ advantage, as well as teach future generations how to handle problems that arise from it. “Technology can change learning forever and we need to embrace it and manipulate it to our advantage,” McLaughlin says. Alongside our changing notions of what constitutes a classroom, our ideas about the way teaching is delivered must also be reshaped. “Most professions treat each individual’s case differently – each patient of a doctor has individualised treatment plans. Education should be no different,” McLaughlin says. She says the old ‘one model of teaching and learning fits all’ is outdated and has no place in the agenda for future education. Teachers will become facilitators of learning and students will have more control of their own learning journey. “In the past, all children did the same work regardless of ability or skills. We now know that this contributes to disengagement, misbehaviour and poor outcomes,” she says. As a result, teachers will have individualised learning plans for students, which will enable each student to learn at a pace that best suits their abilities and to engage with content that is most beneficial to them. A combination of evidence-gathering and feedback from parents, students and other professions will enable these plans to be successfully integrated into the education system. To maximise the potential for individual progress, some elements of teacher-led learning will remain, which will augment traditional learning practices when combined with online digital media. Classrooms of tomorrow need to focus on a combination of student engagement in learning, enquiry-based approaches, curiosity, imagination and design thinking. McLaughlin poses the question “what are we testing for?”. Students today are heavily focused on the end result – achieving that high ATAR score, receiving a distinction in class, acing those tests. Education of the future will prove what you have been told many times before: results do not define you. McLaughlin believes that testing on its own can be a dangerous approach. “We too easily jump onto the test results in isolation of what we need to achieve. This can lead us off in the wrong direct to what’s really important,” she says. Grading is a waste of time if its purpose is solely to point out who is at the top and who is at the bottom. Assessments in the future will be evidence based, using measures that allow learning plans to be drawn up and personalised. “The big question is ‘why are we grading and for whom?’,” McLaughlin says. Curriculum teaching and learning already extends well beyond the classroom and will continue to do so, and as education changes to suit the future’s needs, the role of a teacher must also adapt and grow. It is each teacher’s responsibility to empower students to take risks, be innovative and seize any opportunity thrown their way. 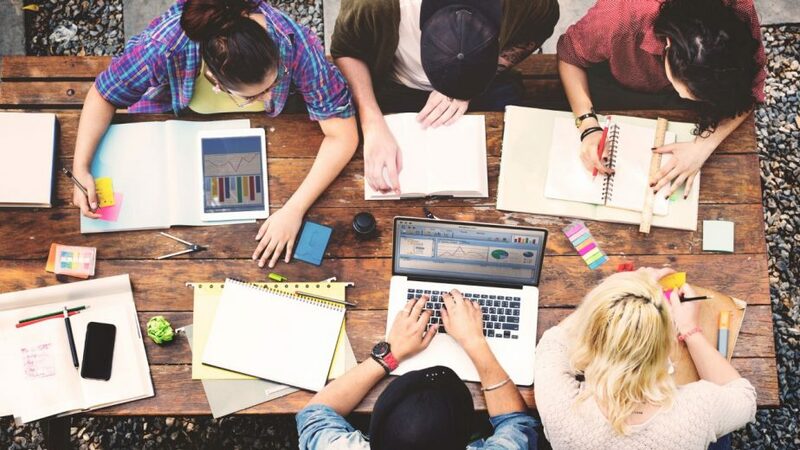 In light of a shift towards a more personalised learner experience, teachers of the future must be prepared to be data collectors, as well as analysts, planners, collaborators, curriculum experts, synthesizers, problem-solvers and researchers.